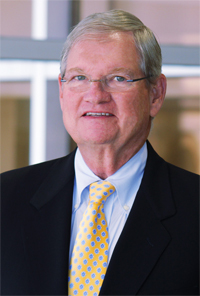 Paul L. Whiting was elected to the Board of Directors in December 2003 and served as Non-Executive Chairman from August 2004 until May 2016. He is a member of the Compensation and Finance Committees. Since 1997, Mr. Whiting has been President of Seabreeze Holdings, Inc., a privately held investment company. Previously, Mr. Whiting held various positions within Spalding & Evenflo Companies, Inc., including Chairman, Chief Executive Officer and Chief Financial Officer. Presently, Mr. Whiting sits on the boards of The Bank of Tampa and The Tampa Bay Banking Co. Mr. Whiting also serves on the boards of various civic organizations, including, among others, Academy Prep Foundation and Academy Prep Center of St. Petersburg. He was the founder and past President of Academy Prep Center of Tampa, a full scholarship, private college preparatory middle school for low-income children.